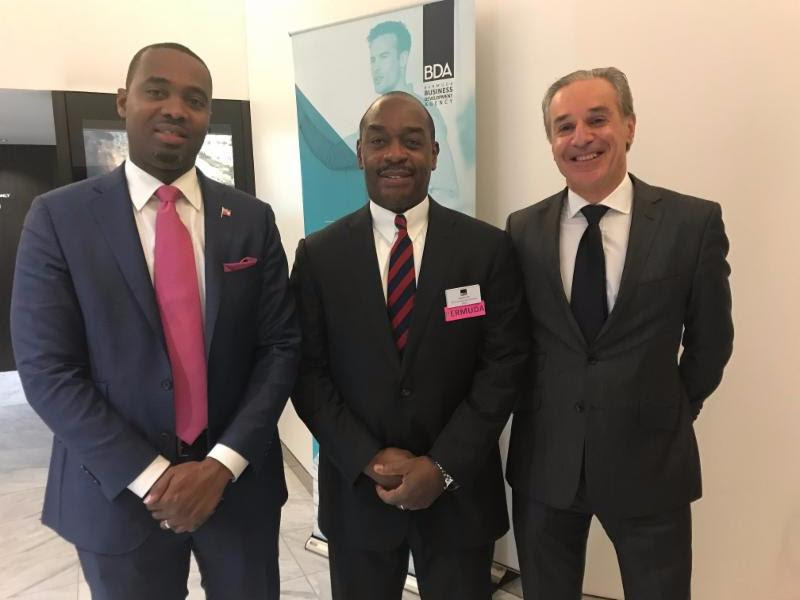 Hamilton, Bermuda, November 30, 2017 – Leaders of Bermuda’s global business sector highlighted the breadth, advantages and significant economic impact of the island’s financial market during an awareness-raising cross-industry forum held in London this week by the Bermuda Business Development Agency (BDA). Premier the Hon David Burt officially opened the day-long forum after meeting with Britain’s Prime Minister Theresa May. 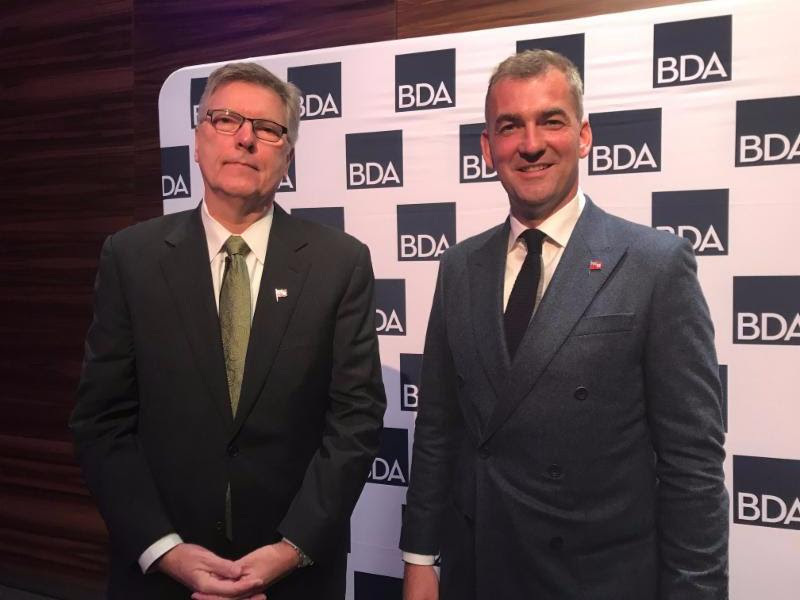 The Premier was in the city for the BDA event as well as annual Joint Ministerial Council (JMC) meetings and various Parliamentary events, followed by a planned visit to Berlin and teleconferenced meetings with Paris later in the week. The forum attracted close to 250 delegates, encompassing a wide range of industries, to ME London Hotel in the city’s West End. 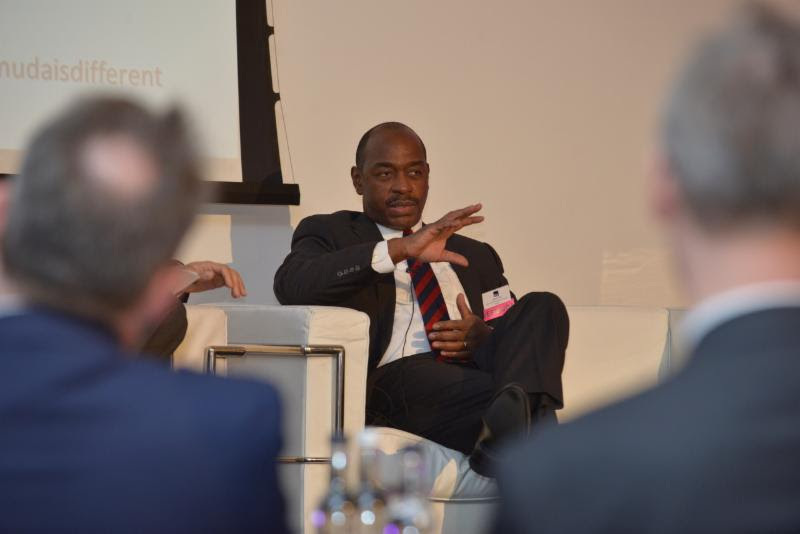 Featuring top regulatory and industry representatives in discussion panels, the agenda covered hot-button topics such as Brexit and the recent theft of “Paradise Papers” law-firm data, while emphasising the many elements that differentiate Bermuda-from the island’s world-respected regulator and access to capital to its deep pool of valuable industry expertise. 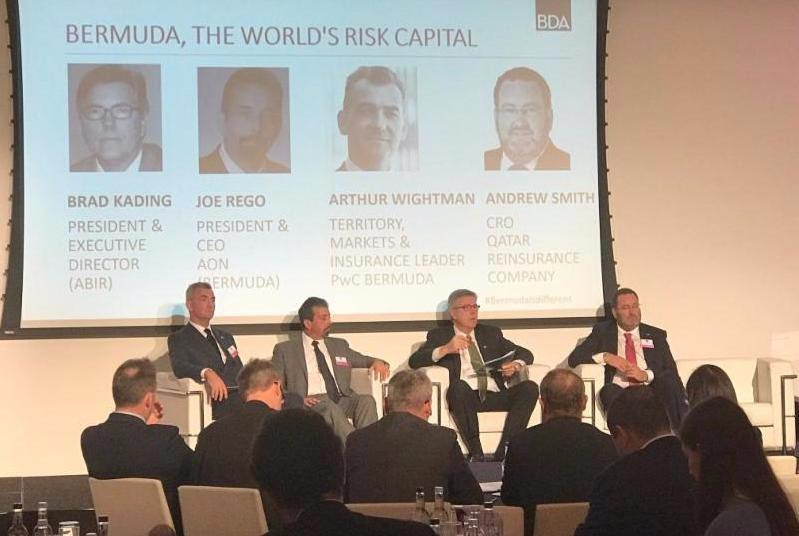 Speakers also examined the varied sectors that make Bermuda a centre of excellence, including re/insurance, captive insurance and insurance-linked securities, to asset management, family offices, and trust and private-client business. Forum panels in the morning covered risk-industry topics, from insurance trends and the outlook for 2018 to why Bermuda remains “the World’s Risk Capital.” Afternoon sessions focused on the rapidly-growing convergence of re/insurance and asset management, then moved to examine high-net-worth services, family governance and charitable trust structuring. The day’s line-up featured 25 Bermuda executives, including Bermuda Monetary Authority CEO Jeremy Cox; Bermuda Stock Exchange CEO Greg Wojciechowski; Association of Bermuda Insurers & Reinsurers President Brad Kading; Grainne Richmond, President of the Bermuda Insurance Management Association (BIMA); and Keith Robinson, Chairman of the Society of Trust & Estate Practitioners (STEP) Bermuda. 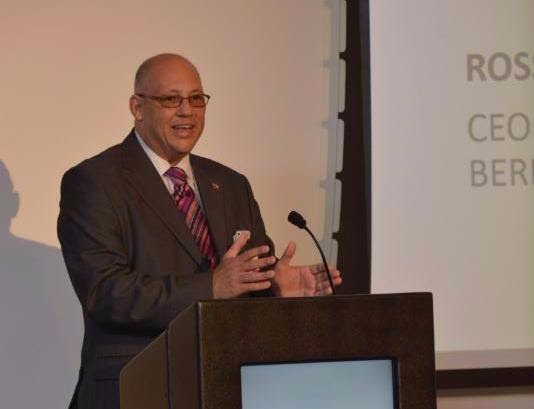 Keynote speaker, Deputy Chair of Lloyd’s and Hiscox Chair Robert Childs, described Bermuda’s speed to market and detailed the many advantages Bermuda had lent to Hiscox. Other Bermuda-based executive participants included Mark Allitt of KPMG Bermuda; Sarah Demerling of Estera; BDA former chair and Hiscox Director Caroline Foulger; David Gibbons of PwC Bermuda; Ed Granski for Meritus Trust; Randall Krebs of Harbour International Trust Company; BDA Board member Jessel Mendes, of EY Bermuda; Michael Neff of Butterfield Bank; Michael Parrish of Marsh Bermuda; Peter Pearman of Conyers Dill & Pearman; Brian Quinn of Granite Management; Fozeia Rana-Fahy of MJM; Aon CEO Joe Rego; Andrew Smith of Qatar Re; Ariane West of Taylors in association with Walkers; Arthur Wightman of PwC Bermuda; Kim Willey of ASW Law; and Akilah Wilson of the BMA. 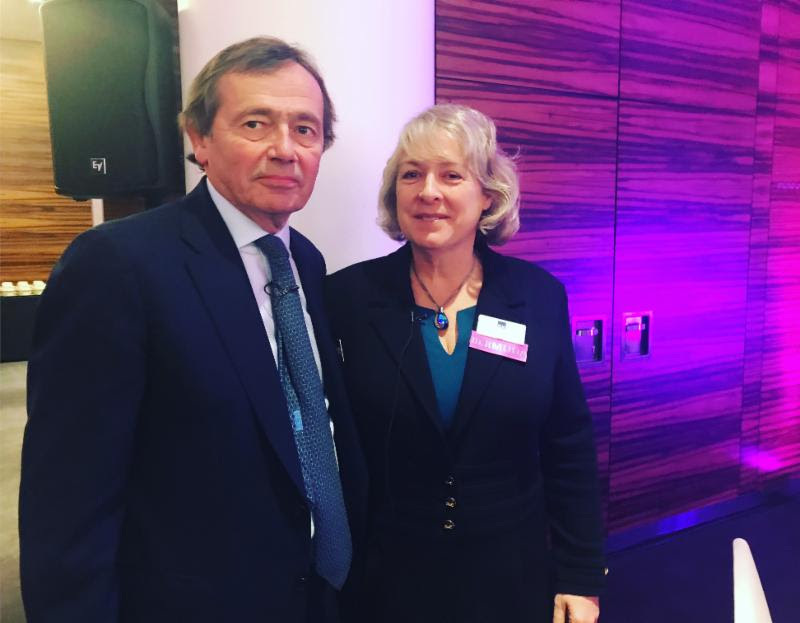 Overseas presenters included Richard Hay of Stikeman Elliott, London; Siân Hill of KPMG UK; and Samantha Morgan of RMW Law. A second industry event, “Beyond Convergence”, took place at the hotel the following day, focusing solely on insurance-linked securities. 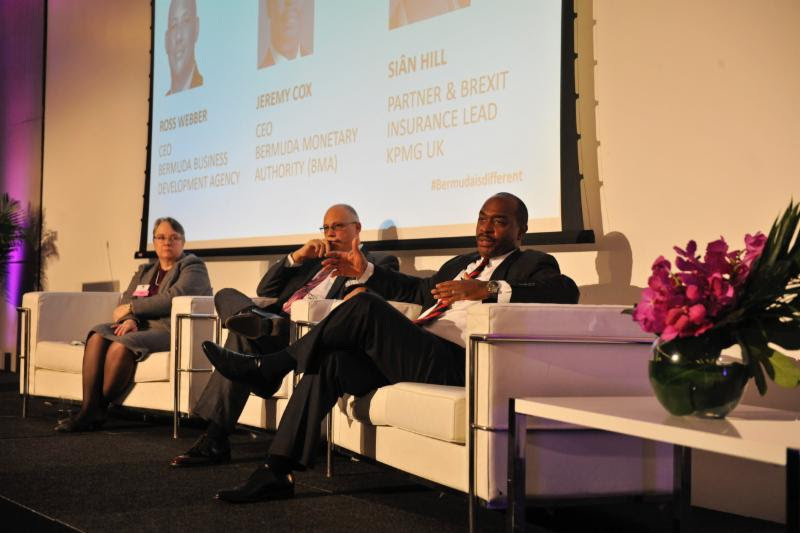 Organised by ILS Bermuda to dovetail with today’s forum, it will provide a more detailed look at Bermuda’s success in attracting capital, expertise and clients to the sphere of alternative reinsurance. Featured speakers will include some of the same industry executives, including the BSX’s Wojciechowski, the BMA’s Cox, ABIR’s Kading, and BDA’s Webber.